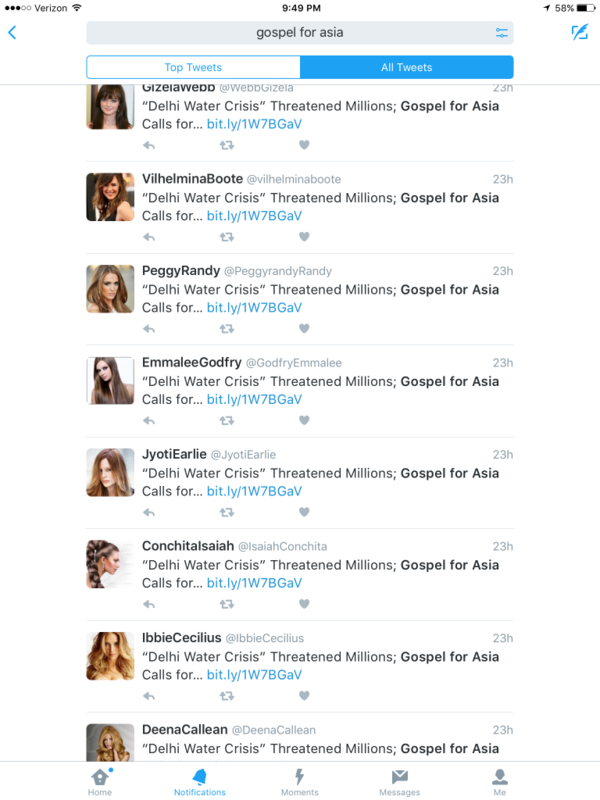 In the past, Gospel for Asia has spent donor money on “reputation management” — using fake accounts to flood social media with positive information about GFA. It appears they are at it again. On twitter, the image below is the result of a search for GFA. The glam photos, odd name combos and exact same message give away the spam. I am not sure of the value of these tweets since the accounts are quite small. In any case, someone is reporting lots of social media traffic which is ultimately fake. The following accounts also appear to be fake. The format is all the same (there are dozens of these) and they all hope to see me around. I doubt it. 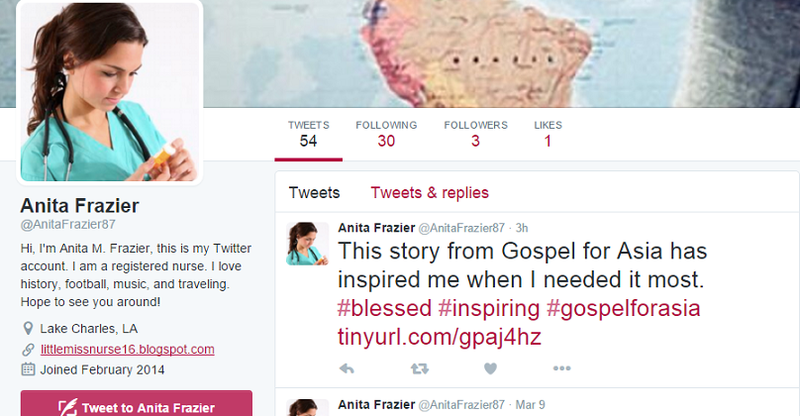 They link to blogs which are either fake addresses or to blogs which have no entries. We know GFA has contracted with Reputation Management Consultants in the past to shore up GFA’s image. Instead of a grassroots uprising of donors defending GFA, it appears that more donor money is going to Christian astroturf.